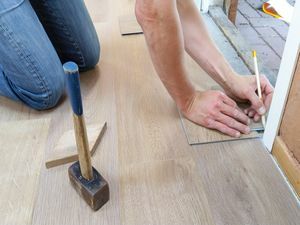 Whether you are remodeling or you are updating your home to impress buyers in the Collingwood area, you should carefully consider the flooring. This material must be able to handle much wear and tear, last a long time, and be aesthetically-appealing. You also don’t want to hurt your budget by spending too much on a certain type. Here are several of the best flooring options you should consider for your Collingwood home. Hardwood is one of the best flooring options and it provides a plethora of benefits. This type of flooring is not only durable and can handle heavy traffic, but it is also easy to clean and requires very little maintenance. Many homeowners choose this type of flooring because it offers a very classic and timeless design. You can also choose from a variety of woods such as maple, oak, and cherry to help you create an even more specific look if you desire. Laminate is another type of material that offers many benefits. It is ideal for kitchen and bathroom areas because it can handle spills and moisture well. But, it does not do well where there are large pools of standing water often like mudrooms as you may leave wet shoes sitting for long periods of time. Laminate is also a very cost-friendly material, is easy to clean, and comes in a variety of colors and designs. Natural stone tiles give a room a very rich and elegant look. Like hardwood, natural stone comes in a variety of types such as marble, slate, and granite and each boasts their own properties and maintenance requirements. Tile is more expensive than other flooring options but if taken care of well, it can last for quite some time. However, you must be careful as natural stone tiles can crack and chip if heavy items such as pots and pans are dropped on top of them. For rooms where you want ultimate comfort, carpet may be at the top of your wish list. Carpet comes in all types of cuts, colors, materials, and more. The room, the amount of traffic it receives, if you have pets or children at home, etc., will all affect the type of carpet you should consider. You will want to talk to a flooring specialist to help you choose the right product for your specific lifestyle and home. By choosing the right flooring, you can create a beautiful space. 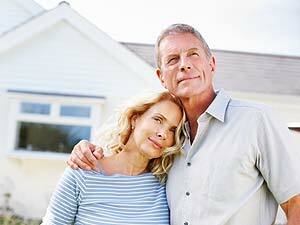 For more ideas on improving your Collingwood home or for home-staging guidance, check out my blog.